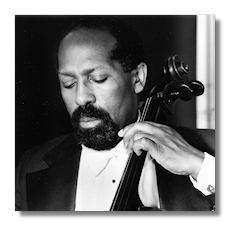 It is a privilege for the Koussevitzky Recordings Society Inc. to present this in-depth, wide-ranging, 2008 interview with the internationally distinguished cellist, conductor, and composer, Kermit Moore (b. 1929), who in 1947 played in the Tanglewood student orchestra under Serge Koussevitzky, the Boston Symphony Orchestra's conductor and music director from 1924-1949. As Caldwell Titcomb wrote in "Black Musicians: Ascending the Scale," in the spring 1990 Black Music Research Journal (p. 110), "For several decades the best known black cellist…has been Kermit Moore (b. 1929), an active concertizer throughout the country as well as in Europe, Africa, and the Far East." In this interview, Moore fascinatingly comments on his direct experiences with Koussevitzky and provides important insights into him. Additionally, Moore discusses his personal contact with many key Boston Symphony players as well as with other leading soloists and conductors of our time, including Herbert von Karajan (under whom he also studied) and whom he intriguingly compares to Koussevitzky. The interview features candid and illuminating comments on a large number of other noted musicians – including many African-Americans, such as Carol Brice, Adele Addison, and Dean Dixon – and Moore expresses provocative opinions, in general, on today's conductors and on the current state of music and culture in America. He concludes the interview by replying to questions about his and his illustrious composer-wife Dorothy Rudd Moore's musical accomplishments.